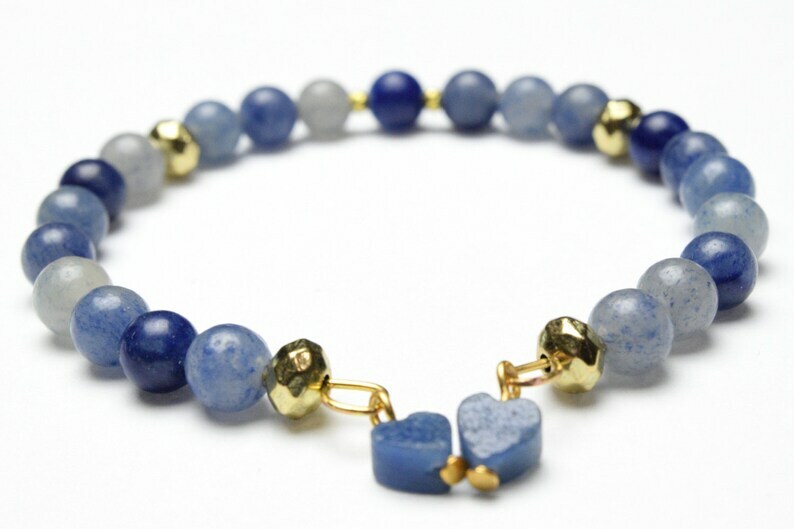 BE MY BLUE VALENTINE - Made with muted blue stone heart beads, muted blue and gray stone beads, faceted gold-plated beads on a gold memory wire. FITS EVERYBODY - This is an adjustable bracelet is made with memory wire so that can extend longer to fit most wrist sizes. It will fit loosely like a bangle on smaller wrists and more snug on larger wrists. Follow us social media and visit our website to get updates on NEW pieces!